As I also mentioned in my last article, the change should soon affect all regulated brokers. Let’s take a look at other binary options brokers. Do you think they stopped offering bonuses as well? Mini-test: Do brokers offer bonuses? Although lately I am very disappointed by the behavior of TopOption and we had to exclude this broker from our list of recommended brokers, the broker really stops offering their bonuses. Good job. What about the other brokers? I didn’t know that and it is very interesting! 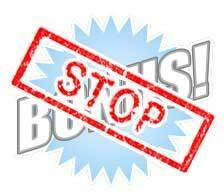 Even other brokers, such is IQ Option and StockPair, don’t offer any bonuses. Great! It seems that the regulations are being taken seriously. 🙂 The only broker still offering bonuses, is eXbino. It is probably because this broker is not fully regulated. The only licenses that this broker has are EG Montenegro and CySEC platform license, but not a company licence. We will see, how the situation continues. CySEC also came with a proposal for five other changes, which still have to pass the approval process. The process ends on March 3 this year. What changes are we talking about? Continue reading. Full ban on binary options with expiration time less than 300 seconds (5 minutes). Displaying the transaction results in real time. Obligation to provide the possibility to end any trade at any time during before its expiration time. Strictly accurate quotation of prices. What does it mean? Let’s go through it. I guess that the ban on short-term binary options is perfectly clear, so we don’t have to lose time explaining that. Regarding the fixed strike price, I am not 100% sure what do they mean. The most probable is, that the platforms must provide to traders strike prices which can change only once for a period of time. Some strike prices provides traders greater benefits than others. That is why they are probably valued differently. The best examples of these options are ladder options – they are my favorites but not everybody understands them. The possibility to end the trades – fortunately this is already implemented by many brokers, for example highlow.net or IQ Option broker. 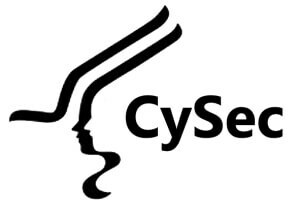 Unfortunately it is still not possible to sell the option right before its expiration time and CySEC wants to change that. This possibility I saw for the first time at TopOption a long time ago, in 2013, when I started to be interested at binary options. Regarding the last paragraph (Strictly accurate quotation of prices) I think it is very important. So far the brokers could quote more or less any price they wanted. But if CySEC say, that all brokers have to quote just one server, and then all brokers should have exactly the same prices at the same time. This would be great. This should be working even now, but the reality is a little different and the price always varies by a few pips. We’ll see what happens. Anyway it is nice to see that CySEC really works. How to sell your options at IQ Option? The following video shows how you can sell options at IQ Option whether it’s at a profit, or loss.